The Army National Guard (ARNG) is the oldest component of the U.S. armed forces. As early as 1607, militia companies were formed shortly after the establishment of Jamestown, the first permanent English settlement in the New World. The ARNG traces its birthday to 13 December 1636, when the Massachusetts Bay Colony organized its first permanent regiments. Since then, soldiers serving in colonial and state militias, and later in ARNG units, have had a significant role in every conflict the United States has fought. Unlike more recent conflicts however, such as Afghanistan and Iraq, ARNG units were not deployed in large numbers to Vietnam. As a result, relatively little has been written about the estimated 13,000 National Guardsmen mobilized during the Vietnam War and those deployed to Southeast Asia. On 11 April 1968, nearly three years after the United States began sending large numbers of combat troops to Vietnam, President Lyndon B. Johnson reluctantly made the decision to mobilize a small portion of the National Guard and Army Reserve. The delay in mobilizing National Guard and Reserve forces resulted in the reserve components being seen by many young men as a way to avoid the draft and the prospect of going to war. While maintaining their role in assisting with disaster relief efforts at home, National Guard units were also activated to control riots stemming from anti-Vietnam War protests and other civil disturbances occurring on college campuses and in cities across the nation. The most notable incident took place on 4 May 1970 at Kent State University in Kent, Ohio, when Ohio Guardsmen, sent to the campus following a fire that destroyed the university’s ROTC building, opened fire during a demonstration, killing four students and wounding nine. Only a small portion of the ARNG units activated during the Vietnam War were deployed to Southeast Asia. Of the estimated seventy-six ARNG units called up to active duty, only eight units and 2,729 soldiers served in Vietnam, including Alabama’s 650th Medical Detachment; Idaho’s 116th Engineer Battalion (Combat); New Hampshire’s 3d Battalion, 197th Artillery; Kentucky’s 2d Battalion, 138th Artillery; and Indiana’s Company D (Ranger), 151st Infantry Regiment. Company D (Ranger), 151st Infantry, had the distinction of being the only ARNG ground maneuver unit to serve in Southeast Asia. The Indiana National Guard’s history is older than the state itself, with its lineage dating back to 1801. In that year, the Indiana Territory organized its first militia companies to defend settlers against Indian attacks. Called to serve during the Battle of Tippecanoe in 1811, the forefathers of the 151st Infantry fought alongside Brigadier General William Henry Harrison. The lineage of the 151st dates back to the Mexican War and the formation of the 2d Regiment of Indiana Volunteers on 24 June 1846. In addition to its service in the Mexican War, the regiment’s lineage includes several Indiana volunteer units who served in the Western Theater of the Civil War. During World War I, the 151st was assigned to the 38th Division and sent to the Europe, but it was broken up to provide replacements for other units. 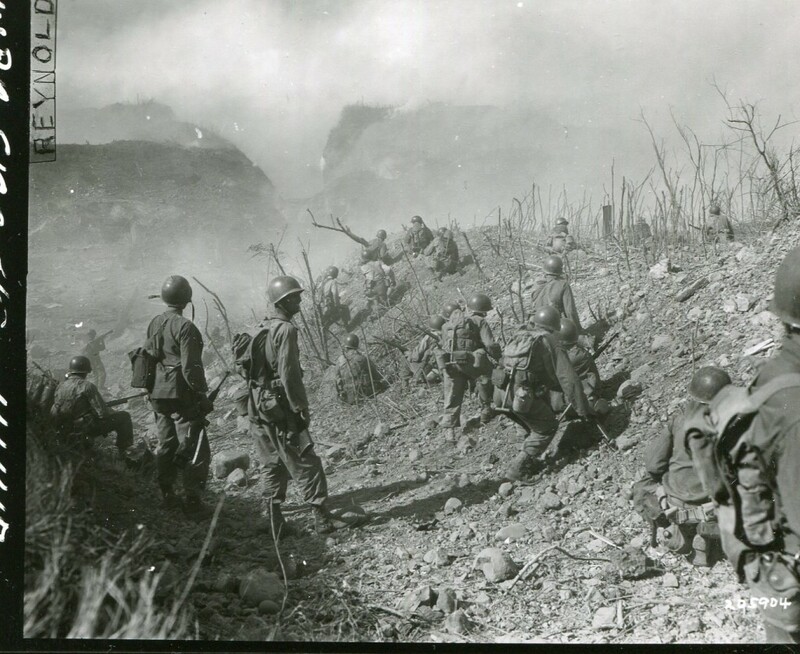 In World War II, the 151st served in the Pacific Theater and took part in the New Guinea, Leyte, and Luzon campaigns. After the war, the regiment reverted to state control. In November 1965, 1st Battalion (Airborne), 151st Infantry, and the 38th Infantry Division were members of the Selected Reserve Force (SRF). SRF units were to be among the first activated in the event of a widespread reserve call-up by the president. However, with no decision to mobilize the reserve forces, the Department of Defense changed its direction and reorganized the National Guard’s force structure beginning in 1967. This resulted in several ARNG divisions being broken up and reorganized. 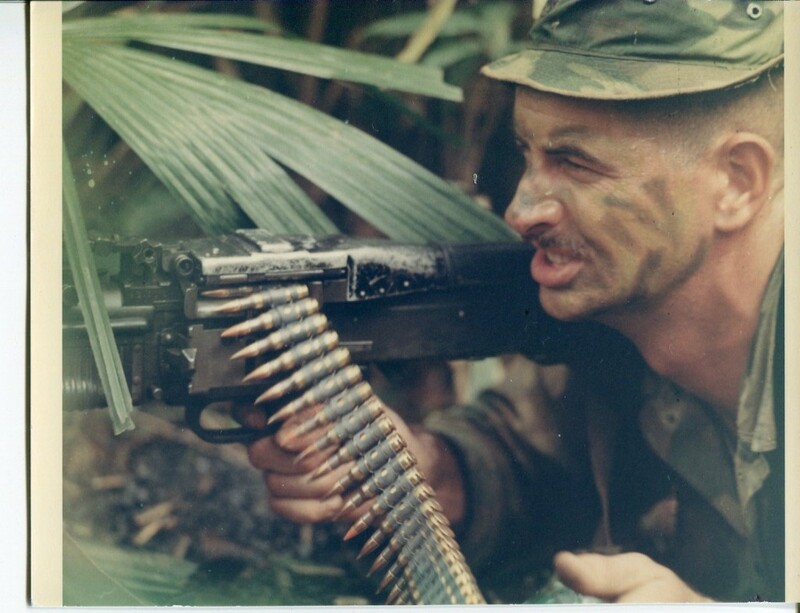 As a part of this process, the 38th Infantry Division lost its airborne infantry battalion but was able retain most of the airborne qualified personnel and form two long-range patrol companies, resulting in the creation of Delta and Echo Companies (Long Range Patrol), 151st Infantry (Airborne). Later the two were combined into a single company and designated Company D. Headquarters for the company plus one platoon were based in Greenfield, Indiana, with two others stationed in Muncie and Evansville. Weekend training drills for Company D, 151st Infantry (D-151 IN), consisted of both long-range patrolling techniques and riot control training. 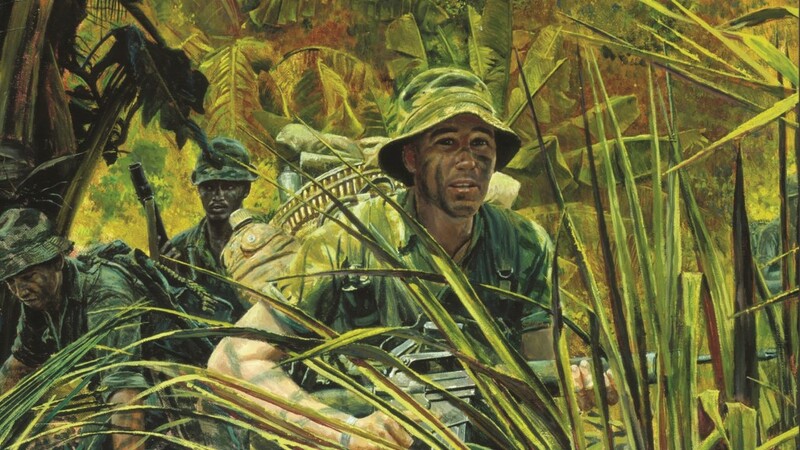 In March 1968, the company traveled to the Army’s Jungle Operations Center, Fort Sherman, Panama Canal Zone, for two weeks of jungle warfare training. Rumors soon began to circulate among the company that they would be sent to Vietnam. The North Korean seizure of the USS Pueblo and its eighty-three crew members on 23 January 1968, and the start of the Tet Offensive in South Vietnam a week later, were the major catalysts that led to the decision to mobilize reserve forces. In April 1968, President Johnson issued Executive Order 11406 calling up 24,500 members of the National Guard and Army Reserve. D-151 IN was one of the units affected by President Johnson’s April call-up. The average age of Company D’s personnel was twenty-four, about two years older than the average soldier serving in Southeast Asia. Many of the Indiana Guardsmen were enrolled in college courses or already had established their careers. Despite the disruption to their lives, the men of D-151 IN were motivated, trained, and ready to serve. On 13 May 1968, D-151 IN departed Indianapolis, Indiana, with eight officers, one warrant officer, and 195 enlisted men and headed to Fort Benning, Georgia. Upon reaching Fort Benning, Company D was attached to 5th Battalion, 31st Infantry, 197th Infantry Brigade. The company underwent twenty-six weeks of intense unit and individual training, including the Army’s Ranger and Pathfinder courses. Officials at the Infantry School declared Company D the best trained unit in its history. In addition to the training at Fort Benning, Company D received additional training from British and Australian Special Air Service personnel at Eglin Air Force Base, Florida, where the Indiana Guardsmen learned advanced patrolling and tracking techniques. On 20 December 1968 an advance team left to set up Company D’s new home, Camp Atterbury (EAST), located adjacent to Camp Frenzell-Jones, in Long Binh, a ward in Biên Hòa, Đồng Nai Province, Republic of Vietnam. On 28 December 1968 the remainder of the company left Fort Benning’s Lawson Army Airfield on C-141A Starlifters in three groups and arrived in Vietnam 30 December 1968. Originally, the men of D-151 IN were to join XXIV Corps in the I Corps Tactical Zone (I CTZ), but due to troop ceilings and other delays, Company D joined U.S. II Field Force Vietnam (IIFFV) for long-range patrols and reconnaissance missions inside War Zone D in the III Corps Tactical Zone (III CTZ). III Corps was responsible for the densely populated and agriculturally important region between Saigon and the southern Central Highlands. Headquartered in Biên Hòa, a suburb northeast of Saigon, III CTZ’s area included the following provinces: Tay Ninh, Binh Long, Phuoc Long, Phuoc Tuy, Long An, Binh Duong, Long Khanh, Binh Tuy, Gia Dinh and Hau Nghia. IIFFV, its counterpart organization, was based at Long Binh. Once in country, D-151 IN received a one-week orientation course that included rigorous physical training with the 199th Infantry Brigade. Starting in mid-January 1969, Company D began four more weeks of intensive, mission-specific training from the provisional IIFFV Long Range Patrol Company, formerly Company F (LRP), 51st Infantry (Airborne) (F-51 IN). By February 1969, the company was deemed fit and operational for patrol. At this time, the commander of F-51 IN, Major George M. Heckman, a former Special Forces instructor and executive officer of the Military Assistance Command, Vietnam, Recondo School at Nha Trang, took command of Company D. Following the completion of their training with F-51 IN, members of D-151 IN attended the elite three-week Recondo School course. 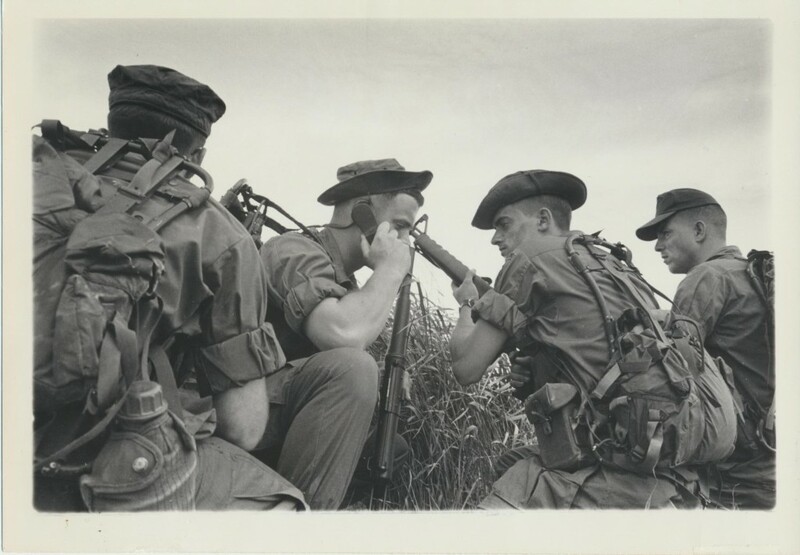 American soldiers, as well as members of allied forces in South Vietnam, trained in the art of long-range reconnaissance patrolling. During this time, D-151 IN’s designation changed from LRP to Ranger. In addition to the new designation, the Army also authorized an increase in personnel strength from 214 to 230. This increase caused the number of platoon patrols to expand from three to four, increased the number of patrol personnel from five to six, and eliminated the company’s parachute packing section. D-151 IN patrolled areas in southern War Zone D in the Long Khanh and Bien Hoa Provinces. They also conducted patrols along the trails adjacent to the Song Dong Ngai and Song Be Rivers, and also ran patrols through the area known as the Iron Triangle. The Iron Triangle was a National Liberation Front (NLF) stronghold twenty miles northwest of Saigon. It encompassed approximately 125 square miles and included portions of the Bien Hoa, Binh Duong, Phuoc Long, Long Khanh and Hau Nghia provinces. Company D’s main adversary in this area was the infamous VC Dong Ngai Regiment. Unit patrols viwere often engaged with, and largely outnumbered by, elements of the Dong Ngai. Company D patrols made contact with the enemy among the seemingly unlimited trails, supply routes, camps, and bunker complexes throughout the jungle areas of III CTZ. The VC had a vast and complex system of both above and below ground rest areas, living quarters, supply depots, and training camps within the sanctuary of the dense jungle. Company D worked closely with members of the 117th Assault Helicopter Company, nicknamed the “Annie Fannys.” The 117th assisted with the insertion and extraction of Company D soldiers, and often did so under heavy fire. Company D also interacted with the 334th Armed Helicopter Company. Both companies were part of the 145th Aviation Battalion, 1st Aviation Brigade. The relay of communications back to D-151 IN’s tactical operations center in Long Binh was accomplished through the work of the 74th Reconnaissance Aviation Company. The men of the 74th were the first to know of any problems with the patrols and if they made contact with the enemy. The brave men in these aviation units contributed to the outstanding record held by the Indiana Rangers during their tour in Vietnam; much of the work done by Company D could not have been accomplished without the help of these units. During D-151 IN’s time in Vietnam, it conducted 974 patrols, killed over 100 enemy soldiers, and lost only four of their own in direct combat; two additional soldiers perished in a helicopter crash. 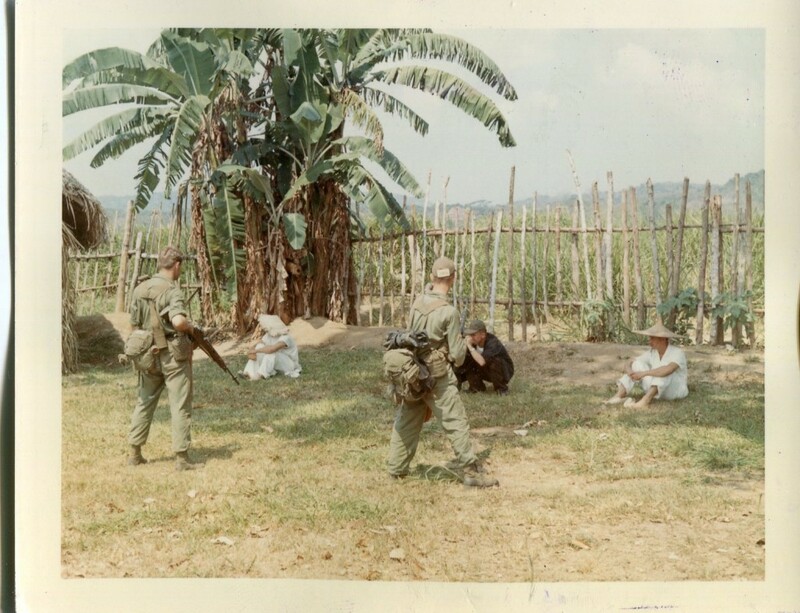 The Indiana Rangers reported 134 separate enemy observations within the unit’s first six months in Vietnam, and participated in ninety-four combat engagements with enemy forces. On 20 November 1969, the remaining National Guard members of D-151 IN were shipped from their base camp at Long Binh to Bien Hoa to begin preparations for the company’s return to Indiana. On the same day, the Army activated Company D, 75th Infantry (Ranger), to replace it and assume D-151 IN’s missions in South Vietnam. In celebration of the company’s return home, Indiana Governor Edgar G. Whitcomb declared 26 November 1969 as “Unity Day” and ordered that all state and county offices be closed in recognition of Company D’s return home. A ceremony celebrating their arrival was held at the Tyndall Armory that same evening, and Company D was awarded a key to the city by Indianapolis Mayor Richard Lugar. The men of Company D, 151st Infantry, exited the Vietnam War having been decorated 538 times, more than any other Army infantry company during any one-year period in Vietnam. Their awards and decorations included: nineteen Silver Stars, one Soldiers Medal, 123 Bronze Stars (eighty-eight with “V” device for valor), 101 Purple Hearts, 111 Air Medals, and 183 Army Commendation Medals (twenty-nine with “V” device). Company D also received credit for the following campaigns: Counteroffensive Phase VI, Tet 69/Counteroffensive, Summer-Fall 1969, and Winter-Spring 1970. Company D underwent a series of reorganizations in the years after its service in Vietnam. On 1 March 1977, the company was converted and redesignated as Troop A, 1st Squadron, 238th Cavalry. It was later reorganized and redesignated on 3 October 1986 as the Long Range Surveillance Detachment, 1st Squadron, 238th Cavalry. Three years later, the detachment was converted and redesignated as the 151st Infantry Detachment. Most recently, in September 2008, the detachment became Troop C, 2d Squadron, 152d Cavalry. The controversy over the decision to not mobilize the National Guard and Army Reserve during the Vietnam War brought major changes to the Army’s force structure beginning in the 1970s. 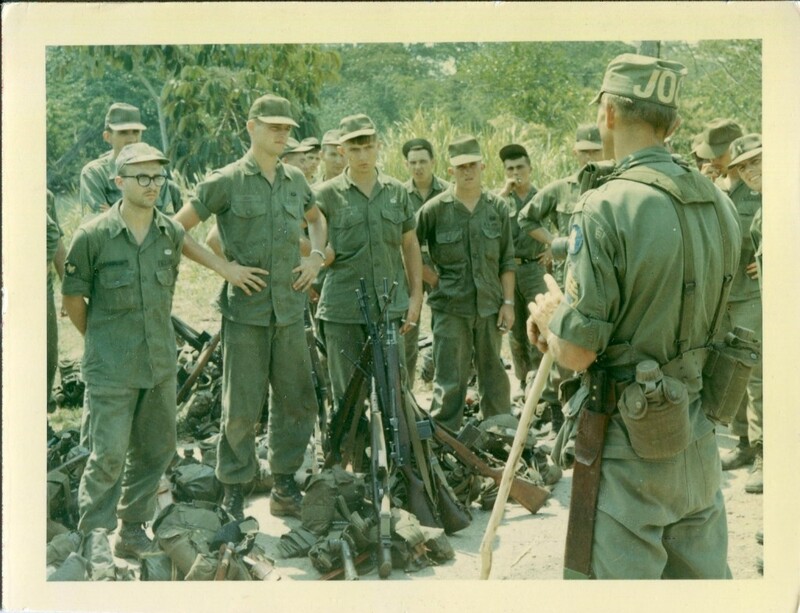 The experience of the Indiana Rangers, along with other National Guard units mobilized during the Vietnam War, paved the way for more interaction between the reserve components and active duty forces, as demonstrated during the recent conflicts in Iraq and Afghanistan, and carried on the proud legacy of the Army National Guard.